Key organisations gave financial support to the author and researchers to make Auslan Signbank a reality and many deaf people from the Australian deaf community gave their time and skills to this project. Please scroll down this page for more information about our supporters. You are viewing a new version of Auslan Signbank (2014). With the support of funds from the Australian Research Council (Linkage Project #0882270 2008-2010 and Discovery Project #1094572 2010-2014), Macquarie University (RIBG grant #9200800800), and from the Deafness Cognition and Language ESRC Research Centre (DCAL) at University College London (UCL), Auslan Signbank has been overhauled (primarily by Steve Cassidy, Department of Computing, Macquarie University in collaboration with Trevor Johnston, Department of Linguistics, Macquarie University and Kearsy Cormier and Bencie Woll, DCAL, UCL). The aim of the development and collaboration was threefold: (1) to create a more flexible, researcher friendly version—there are now several different levels of behind-the-scenes access rights for different kinds of researchers; (2) to modify the database structure and programming behind of Auslan Signbank and create two new independent sites—one for Auslan and one for BSL; and (3) make it easier to adapt Auslan Signbank for other signed languages. 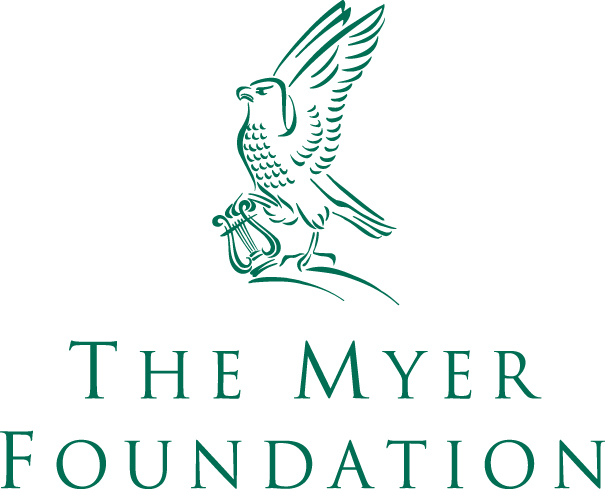 This first dictionary of the sign language of the Australian deaf community was only made possible by the generous and strategic support of the Myer Foundation and the Sidney Myer Fund. All subsequent editions and formats would not have been possible without this initial publication. Auslan Signbank was first conceived by Trevor Johnston in the early 1990s but it was only after improvements in computer and internet technology in the late 1990s that it became practical and then a reality. Auslan Signbank was made possible by the existence of a comprehensive database of Auslan signs (the Auslan lexical database) which had been complied over the previous two decades by Trevor Johnston (now Professor of Signed Language Linguistics, in the Department of Linguistics, Macquarie University, Sydney). Adam Schembri & Robert Adam: research assistants on "Signs of Australia". Jemina Napier & Darlene Thornton: co-editors on "Discovering Auslan" with Trevor Johnston. Adam Schembri: co-editor of the "Survival Guide to Auslan" with Trevor Johnston. Auslan Signbank is constantly changing and being augmented with new information contributed by the deaf community or derived from research into the Auslan Corpus. The Auslan Corpus has been enriched by data, research and annotations created in collaboration with (in alphabetical order): Julia Allen, Karin Banna, Donovan Cresdee, Louise de Beuzeville, Lindsay Ferrara, Dani Fried, Della Goswell, Michael Gray, Ben Hatchard, Gabrielle Hodge, Adam Schembri, Gerry Shearim, Jane van Roekel and Lori Whynot. The support of the Australian deaf community in the Auslan research conducted by Trevor Johnston over the past two decades is deeply appreciated. There could be no database of Auslan or Signbank without the help, enthusiasm and participation of deaf people and deaf community organisations across Australia. We thank the members of the Australian deaf community for sharing their knowledge and language. The names of the many individuals who have helped over the years are far too many to list here but they can be found in the acknowledgements to the various dictionaries that have grown out of the Auslan lexical database: "Auslan Dictionary", "Signs of Australia", "Discovering Auslan", and "Survival Guide to Auslan". With Signbank, the on-going participation and support of the deaf community manner will be even more important. The latest version of Auslan Signbank has been created under the auspices of Macquarie University, Sydney, and incorporates research funded by the University of London (Endangered Languages Documentation Program, School of Oriental and African Studies, grant #MDP0088) and the Australian Research Council (grants #LP0346973 and #LP0882270). The support of The Royal Institute for Deaf and Blind Children (North Rocks, Sydney, NSW) has been fundamental in making possible the publication the revised and multi-media editions of the Auslan dictionaries. This culminated in the first internet version of Auslan Signbank in 2005. The generous financial support of the Telstra Foundation (2004-05) to Trevor Johnston, The Royal Institute for Deaf and Blind Children (The Renwick Centre), and the Deaf Education Network is gratefully acknowledge. Without this support the first version of Auslan Signbank would not have been possible.